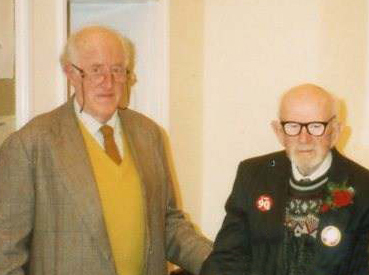 As a Local History Group we are particularly indebted to the work of two amateur local historians – Reg Honeywill and Arthur French. Arthur started his work on Ipplepen after moving to the village on his retirement. Reg, on the other hand, lived in Ipplepen all his life and Arthur freely admitted that much of his knowledge and interest in the village’s history derived from his conversations with Reg. Arthur became particularly interested in family histories and was able in his lifetime to produce a book on Ipplepen. Reg never produced a book but he was a fount of knowledge and we are fortunate to have many of his exquisite hand-written notes. Below is a brief sample of some of Reg’s findings. 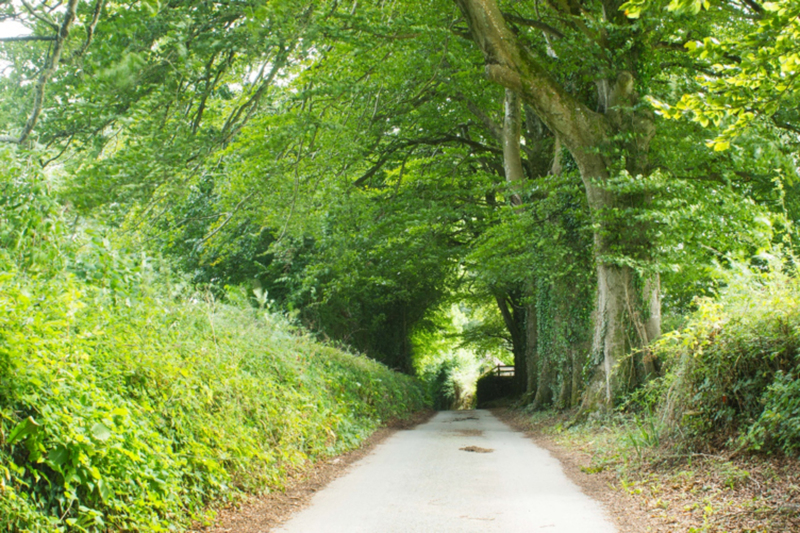 The Icknield way passes through the whole length of Devon from Axminster in the East to the first ford on the Tamar. The Icknield Way leaves Exeter passing over the former estuary of the Exe, where the old bridge stood, and thence over Alphington Causeway by Kennford. From there the trackway passed over Haldon leaving the ‘Camp’ at Ugbrooke Park on the right and proceeding to Sandygate passing by Kingsteignton and crossing the Teign below Newton Abbot by a ford which still retains the name of Hacknield way or Hackney. It then proceeds over Ford Common in a direct line by Wolborough, Abbotskerswell and Ipplepen to Totnes and thence to the first ford over the Tamar. 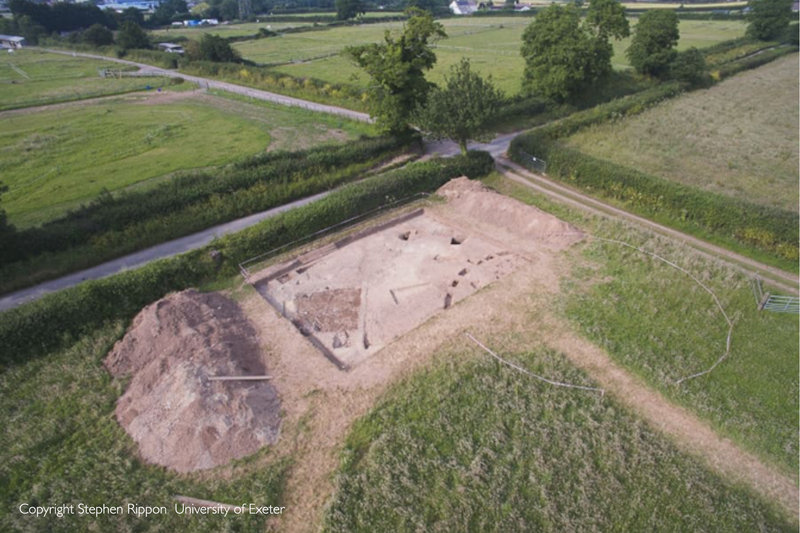 Evidence of early settlements prior to your recent archaeological discoveries come from an Iron Age settlement unearthed at Mator-Milton on Dainton Common near the edge of Stoneycombe quarry. The archaeologists found flints, pots, querns, spindle-whorls and remains of huts with protective banks. At Dornafield there are three burial mounds known as Round Barrows and marked ‘tumuli’ on the maps. 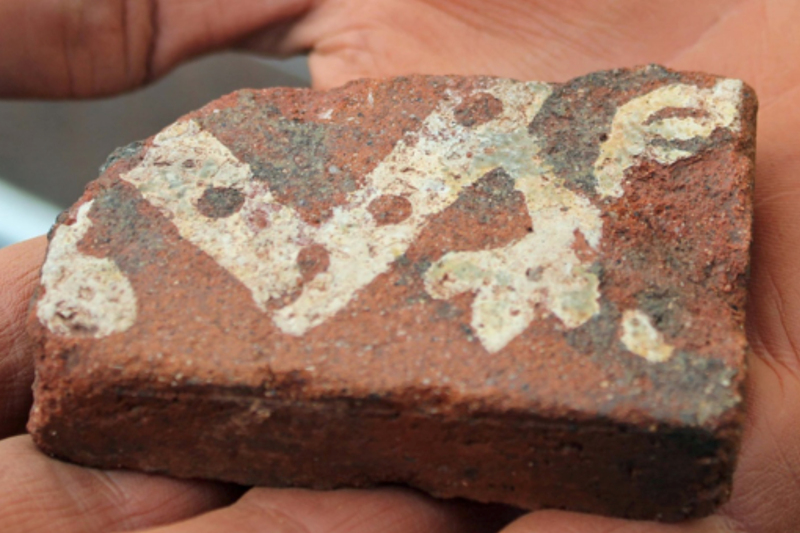 A copper axe-head dating from about 1500BC was found on the site of Fairmile near Park Hill. The name Ipplepen itself is a Celtic name – Ipa or Ipela. There used to be a brook flowing down the middle of the cobbled road surface of Fore Street. 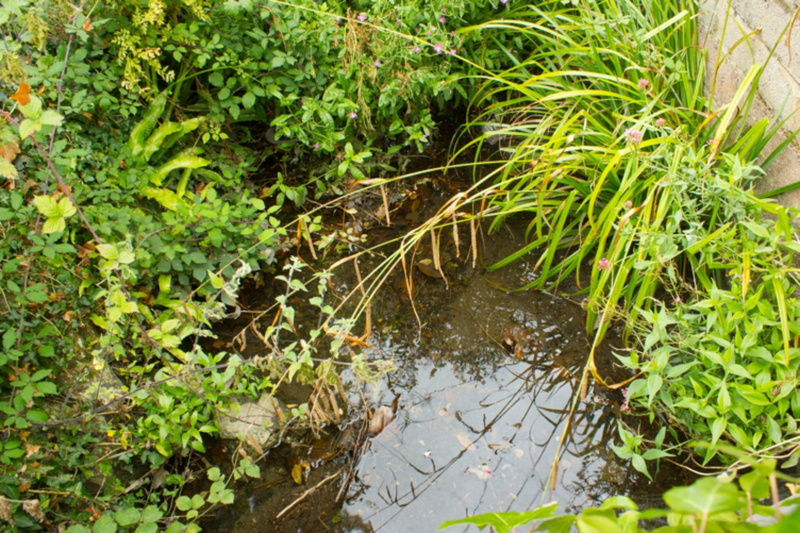 The stream that can be now seen in the village at the bottom of North Street and which flows through part of the Tremlett Grove estate was once known as the River Creedy. A ford over the River Creedy can be found in Dornafield Road and like the other open brooks which flowed through the village it now passes under the road through a culvert. Ipplepen was the largest village in the area at the time of Domesday. It had 56 families – perhaps 280 people. Only Totnes was bigger. Ipplepen Church was important within its district and the rural deanery in this part of Devon was named after Ipplepen. It included a large area from the coast around Paignton to Ipplepen and beyond. The oldest buildings in the village can be found in North Street, Bridge Street and Croft Road. The reference to Motehole cottages in Croft road suggests that this is the place where a Mote or Moot took place – a gathering of the elders in Saxon times. Arthur French, another local historian, is of the view that a hill called Hettor – just south of Moor Road – was the site of the medieval Hundred meeting for the Ipplepen Deanery. On the Tithe Map of 1840 this field is called Heytor Common and the house just down from it is called Hatterville or ‘Heytor-ville’. At Dainton Cross runs a straight road which ends near Wrigwell Cross and at the highest point on this road in medieval times stood the gallows, known by the Saxon name of Forches (gallows or hanging tree).